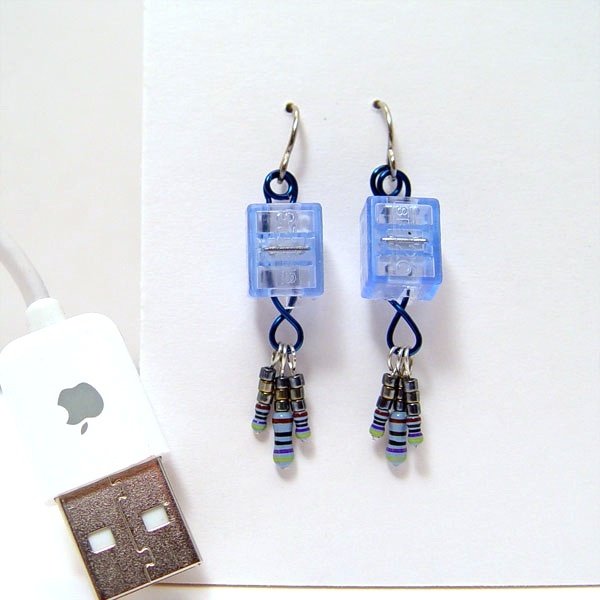 This is a set of Blue Connector Geek Earrings. The shepherds hook are surgical steel, the telecom style connector is 5/16" x 3/8". 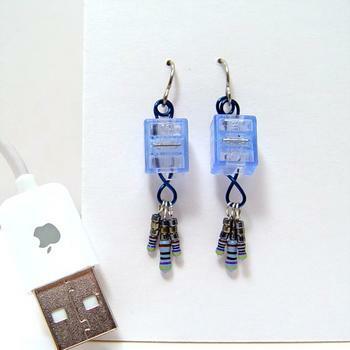 There are 3 blue resistors w/steel blue seed beads completing the design. The whole earring is 1 1/4" long.